Apple Mac lovers worldwide know how dependable Apple Mac technologies can be. However, even the best technologies need to be repaired from time to time. Our Apple Mac repair experts are dedicated to servicing your Mac, iPod, iPad, or iPhone quickly and proficiently to get you back up in running in no time at all. The way we work is simple. 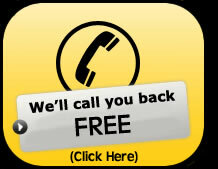 When you call, the cost of the call is charged at your local rate and all advice and phone support is free with no hidden charges.If we can’t fix your issue over the phone we will arrange a appointment to bring it in.We provides support and repairs throughout our Mac Repair Partners some popular areas include London, Edinburgh, and Newcastle. We are Apple Repair Specialist Sheffield. And yes! FREE APPLE MAC ADVISE. We understand how important your Mac is to you, and what a important part in plays in your day to day life. We also offer a wide range of repair service for the Apple iPhone 2G, 3G, 3Gs, 4, 4S, or as some call it the 4G model. We also provide repairs for the iPod Touch, Classic, and Nano. 1. I am having performance problems with my Mac. I think it is because the disc is quite full. I have bought an external harddrive but not too sure how to use it effectivily. 3. I have a Macbook that I have had since March 2008. A few months ago I put it on to charge, and it just had a cross on the battery symbol and it said ‘Battery not charging.’My dad got me new battery off the internet, but when I put it on to charge the light on the charger flashes from green to red so takes forever to charge, and I cannot use the macbook while its charging because it just cuts off whenever the light on the charger turns red. Also now when it is charged the battery lasts no time at all, and it cuts out often. To top it off, the battery lock on the back is also busted.